Click on the Dashboard link in the main navigation bar. I/Os Eliminated - Including Total I/Os Eliminated, Read I/Os Eliminated, and Write I/Os Eliminated. For Read and Write I/Os Eliminated, both the number, and their percent of the Total I/Os, is displayed. 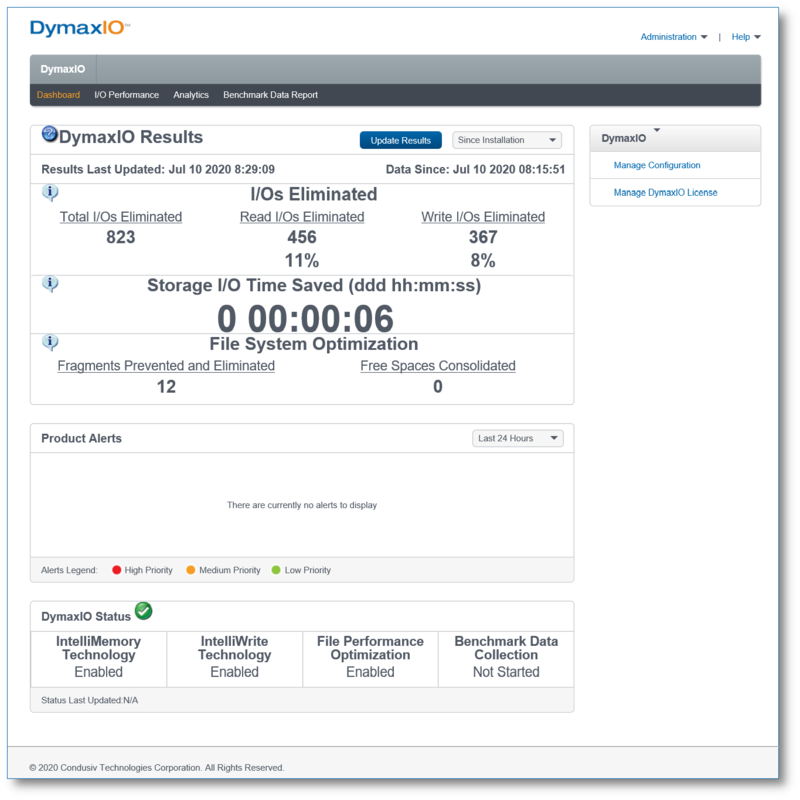 Storage I/O Time Saved - The additional amount of time applications would likely have had to wait if the I/Os hadn't been eliminated. Fragments Prevented and Eliminated - A count of fragments that IntelliWrite prevented along with how many fragments Instant Defrag and any other defragmentation methods have eliminated. Free Spaces Consolidated - A count of the file system free spaces that have been consolidated. The Product Alerts section, V-locity Status section, and V-locity Quick Links pull-down menu are visible in this screen, and the I/O Performance and Analytics screens.